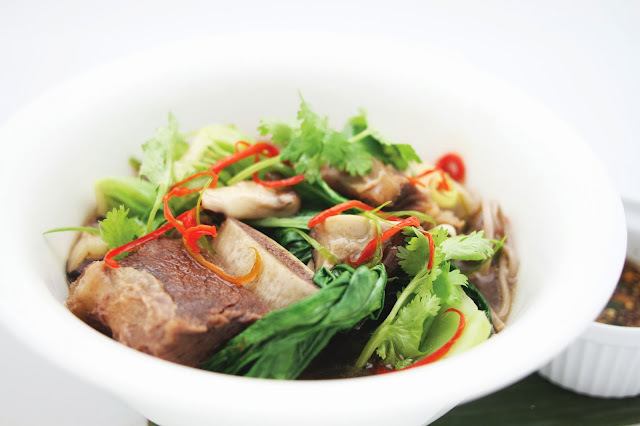 Look out for fresh inspirations from Makan Kitchen's Chinese sous chef Cheong Boon Fei the next time you dine there. 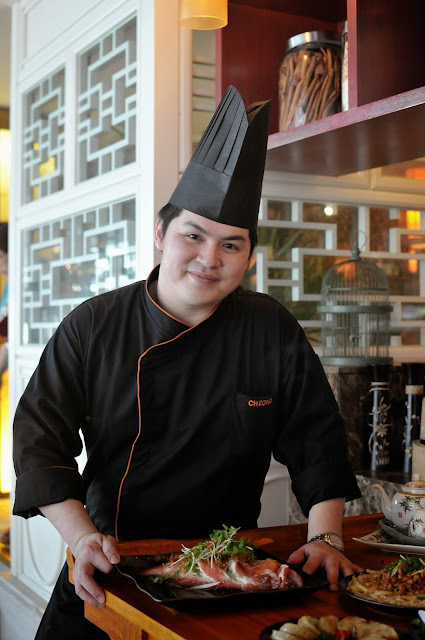 In October, the youthful chef impressed us with his Cantonese showcase featuring an array of signature appetisers, BBQ specialities and a la carte dishes. 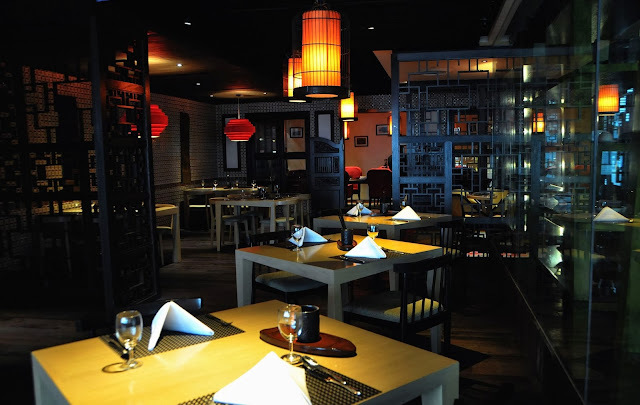 We believe there will be more interesting specials that will take the spotlight for the coming months - not just from the Chinese kitchen but also other sections. 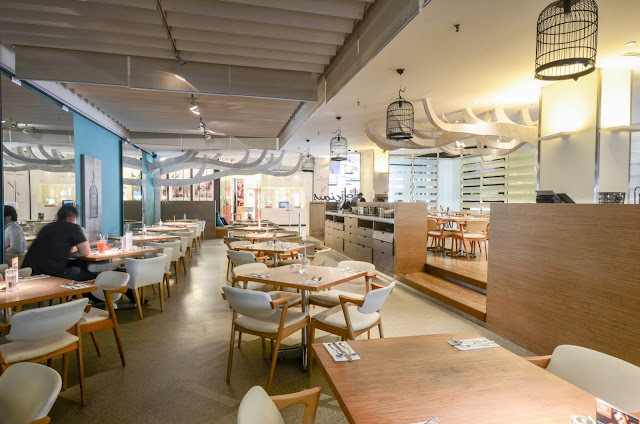 After all, Makan Kitchen's unique concept covers Indian, Malay, Nyonya and even Sarawakian under its roof. 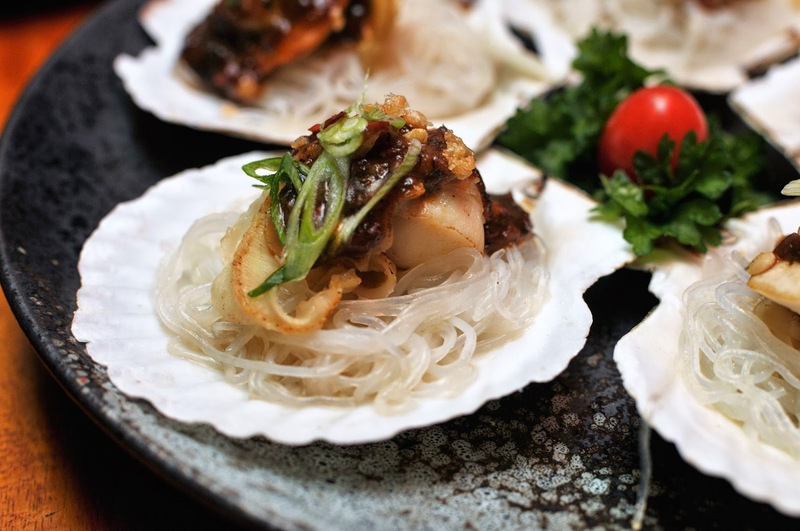 We were lucky to sample a premium selection of fine Cantonese delights such as whole steamed fish with scallions, ginger and sesame oil (the unmatched classic), scallops on half shell with glass noodles and garlic, and Buddha Jumps Over The Wall. 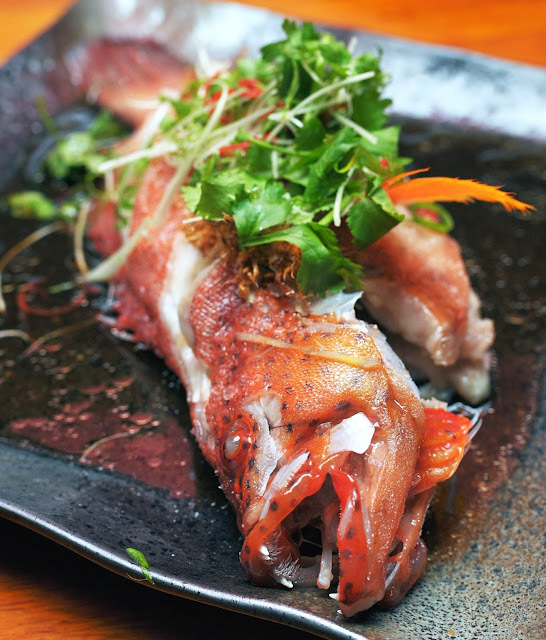 When it comes to steamed fish, the Cantonese does it best. The sumptuous garoupa that we had was top notch even though we had to allow ardent shutterbugs let their cameras 'feast' on it first! 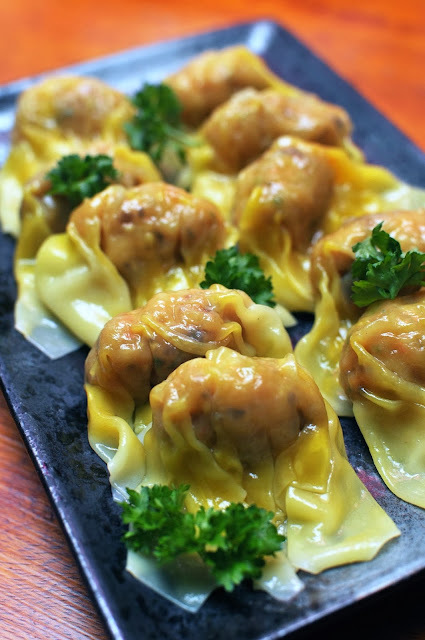 Dainty hand-made dumplings are always something to look forward to here. 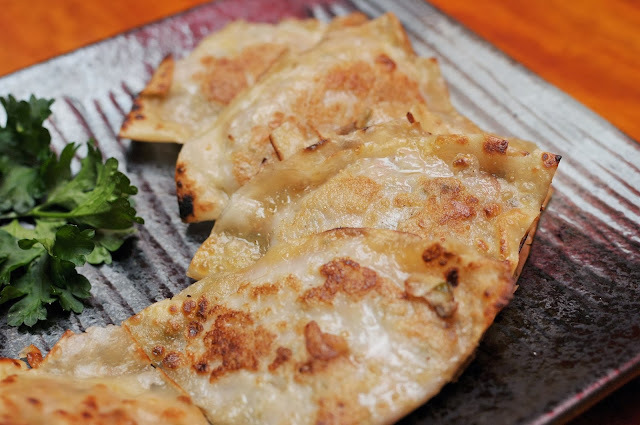 They may be stuffed with interesting filling of otak-otak paste, minced chicken, garlic and kaffir lime leaves or yield characteristically 'ching' (clear) flavours that are so beloved by the Cantonese. 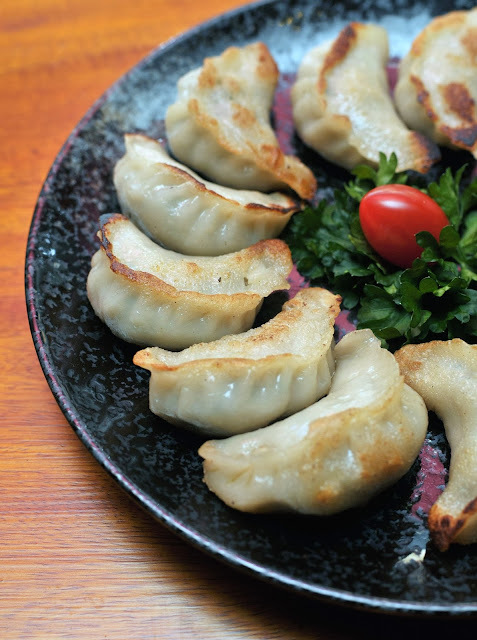 My mouth still waters at the memory of the 'wor tip' or pot-stickers that we had - those delicious pan-fried, crimped dumplings filled with chopped chives and minced chicken. Tiny baby abalone, bamboo pith and dried scallop were some of the treasured goodies in the sweet, velvety soup. 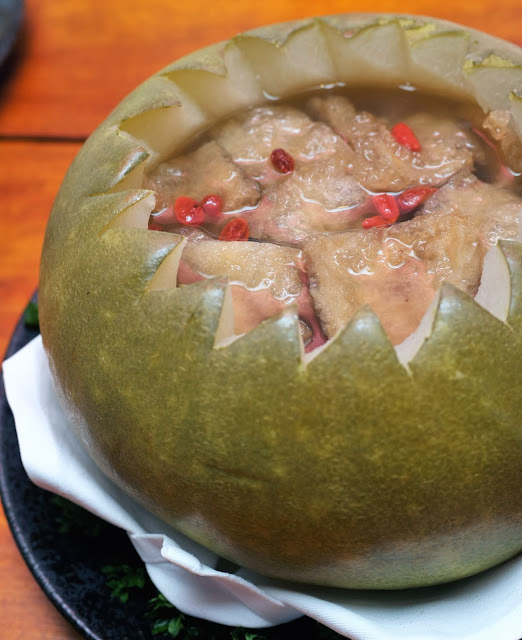 Slightly unctuous on the tongue, it was warmly comforting and came served in a whole winter melon. The steamed scallops with black beans atop clumps of glass noodles also struck a nice chord; their delicate sea-sweetness and rounded beany brininess absorbed by some glass noodles. 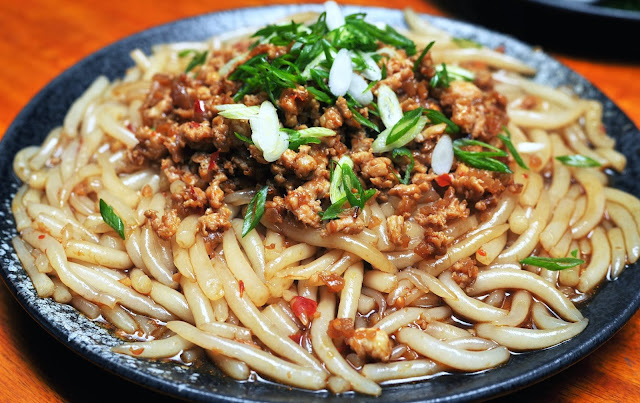 Chef Cheong also proves to be a dab hand at cooking loh shi fun - those fat, rat tail-shaped noodles that we Chinese are so fond of. Stir-fried with minced chicken, some piquant chilli paste and choi poh (preserved vegetable), the noodles soon had us returning for repeat helpings. 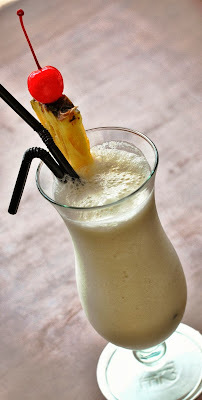 Keep your eyes peeled for similar special dishes on Makan Kitchen's rotational menu for dinner in addition to the regular parade of Malay, Indian, Nyonya, Iban and Melakan Portuguese specialities. 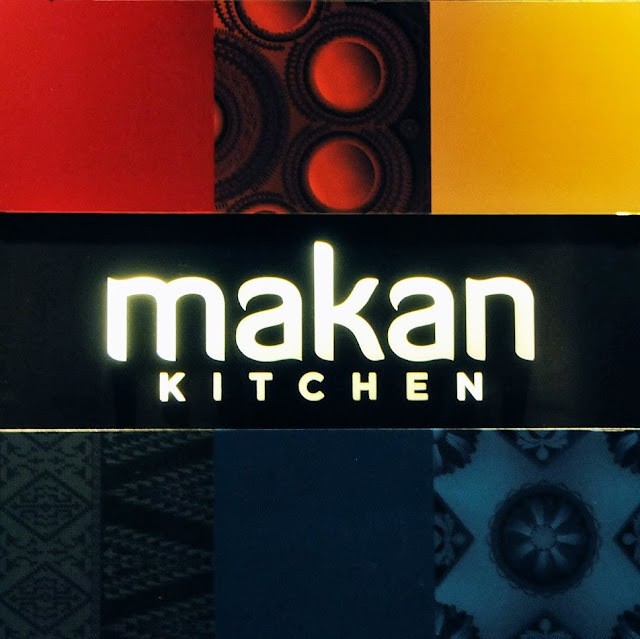 For reservations, please call Makan Kitchen, tel: 03-2172 7272. 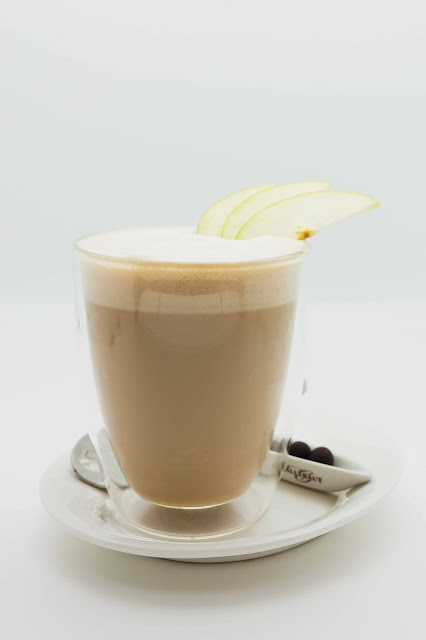 Address: Level 11, DoubleTree by Hilton KL, Jalan Tun Razak, KL. I have never set foot in Italy before but I've seen enough of its streets and piazzas on TV's travel shows. 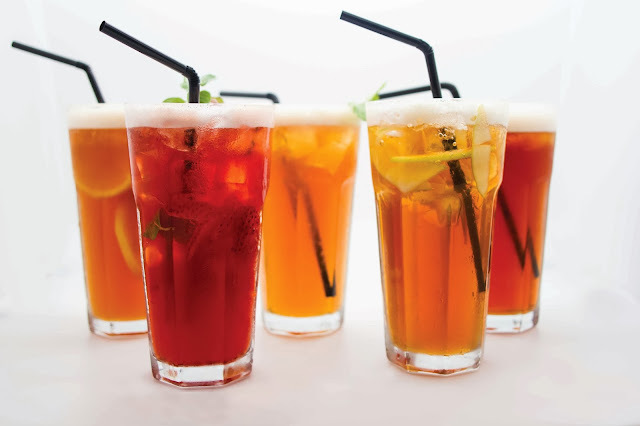 Whether one is in Rome, Venice or Milan, the key visitor hot spots are dotted with cafes that spill tables and chairs onto the sidewalks. These crowd-pulling eateries are well-patronised at all hours as people stop for coffee, delicious bistro food or copious glasses of wine. 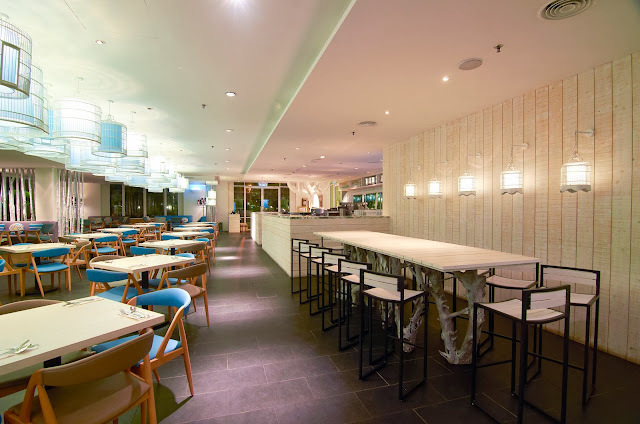 Now tucked away in a lush, secluded corner of KLCC that look out to the fountain and park area is Limoncello - a casual Italian bistro that aims to evoke a similar feel just like its Italian counterparts. 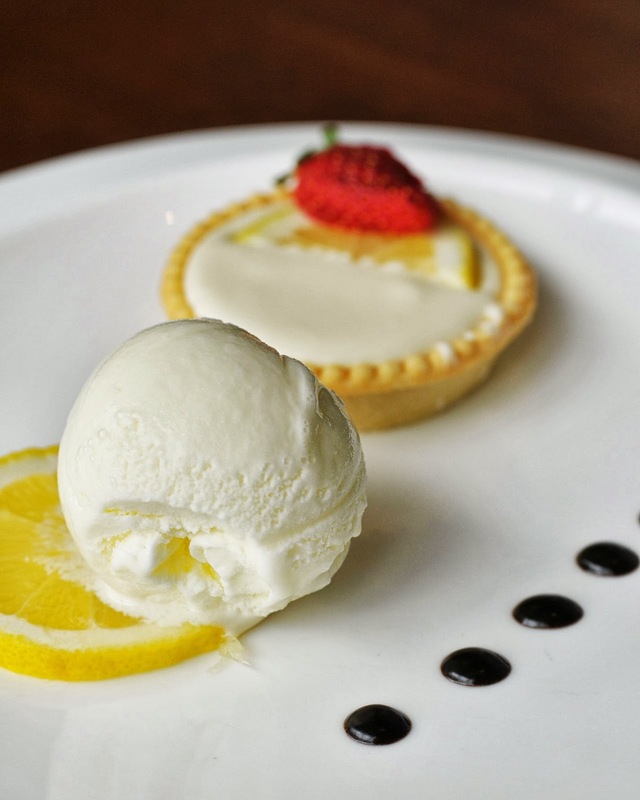 The outlet's specialities is designed to transport you there too ...think of it as a culinary journey of sorts on a plate or two or three. 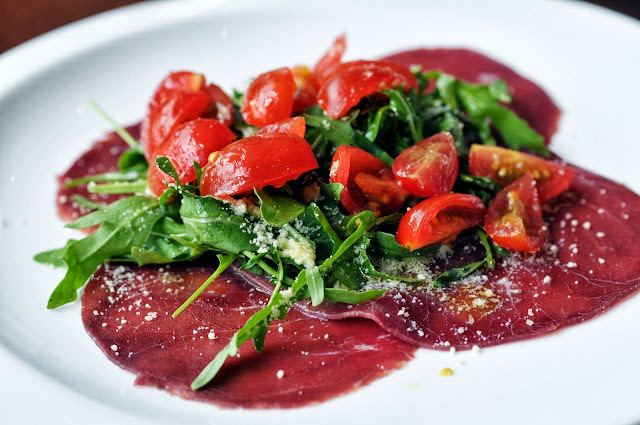 I have always found Italian antipasti or appetisers easy on the palate and aptly whet the appetite for more substantial fare to follow. 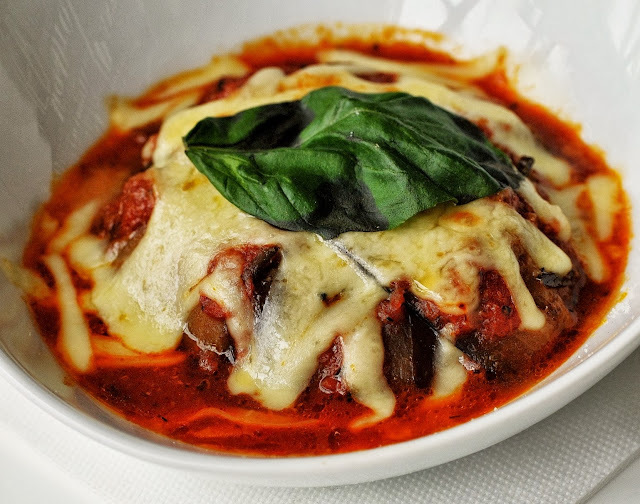 Our curtain-raisers include gossamer-thin Carpaccio Di Bresaola (air-dried beef on rocket with cherry tomatoes and parmesan flakes, RM32.80) and hearty Melanzane Alla Parmigiana (baked eggplant layered with tomato, mozzarella and parmesan RM24.80) are customary staples that help to warm hearts and loosen tongues amidst glasses of good wine. 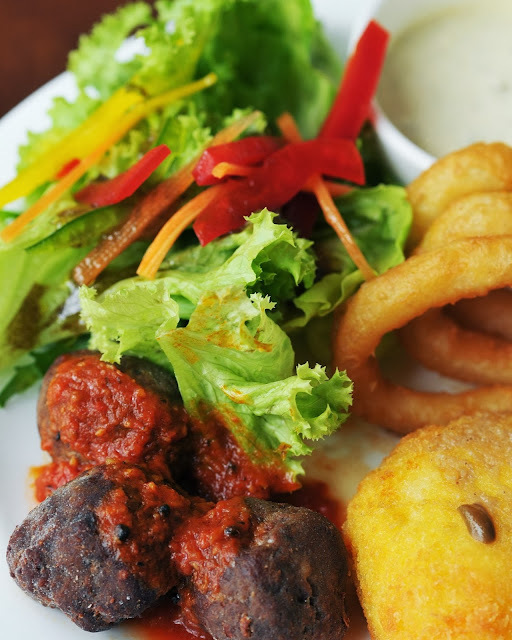 But I predict the Antipasti Misti (deep-fried morsels of calamari, meatballs and mozzarella enrobed in crisp breadcrumb crust, RM28.80) would be the surefire hit with locals. 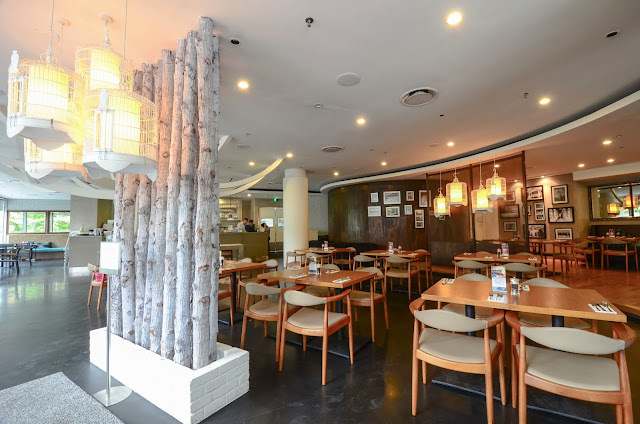 For the harried time-poor white collar crowd, the Club Svago (RM32.80) is a reliable quick-fix lunch that shouldn't leave you dozing off after you eat it. 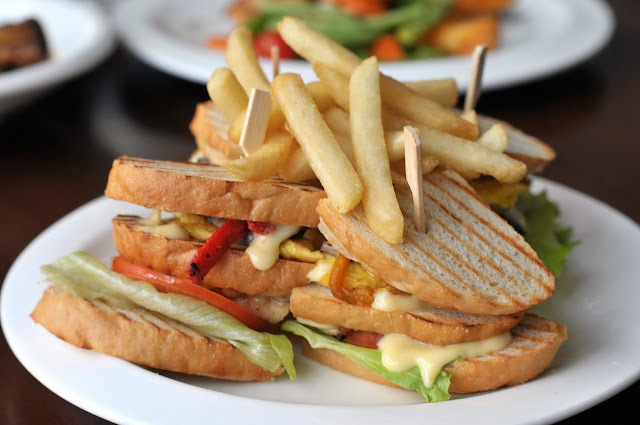 Wholesome but superbly scrumptious, it's a hefty sandwich that has grilled chicken fillet piled with fresh vegetables, fried egg, tomato, lettuce and oregano. 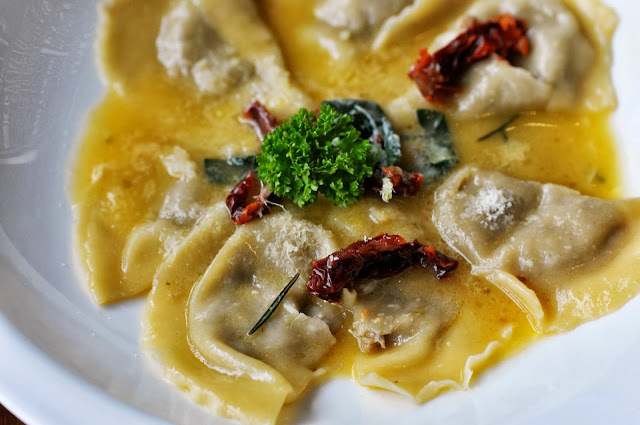 Another speedy but delish option is Ravioli Di Mazo (RM28.80), deeply rustic albeit flavourful homemade beef ravioli in sundried tomato sauce. 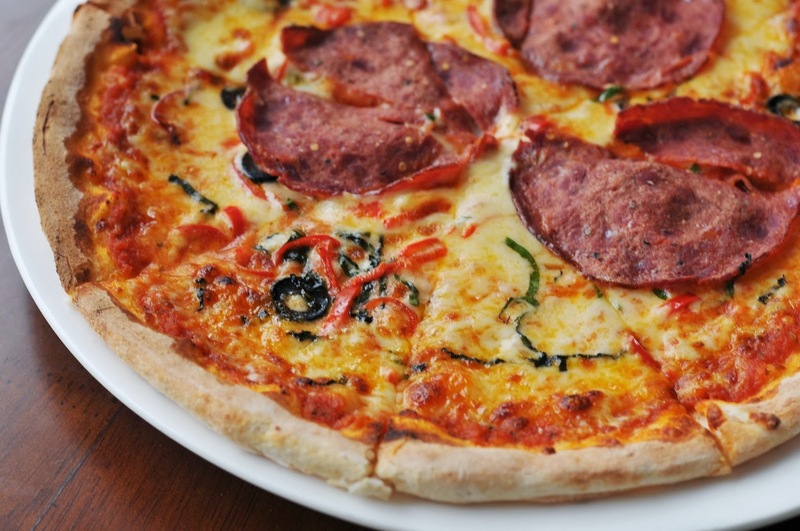 Limoncello is also a great place for oven-fresh pizzas. 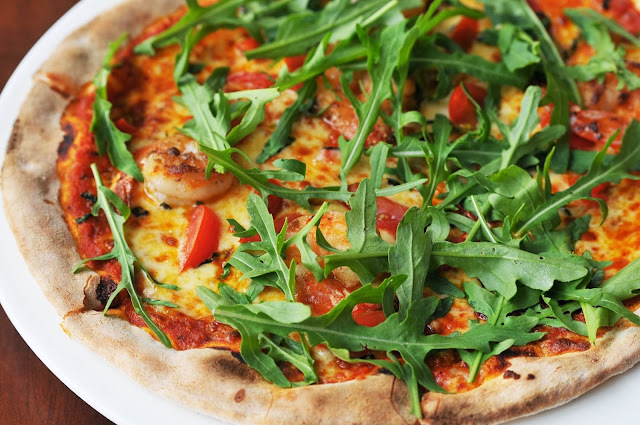 We tried two - Diavola Wood-Fired Pizza (RM28.80) that boasts beef salami, basil, parmesan, mozzarella, tomato, black olives and fresh chilli toppings and Portofino Wood-Fired Pizza (RM32.80) which features a satisfying combination of prawns, cherry tomatoes, rocket, basil, tomato and mozzarella. 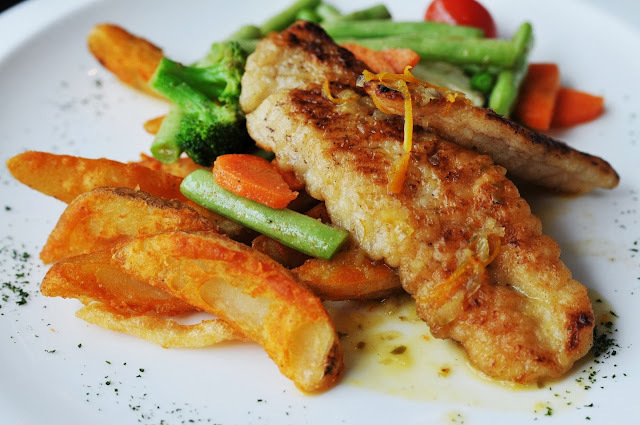 The unexpected show-stealer here though is Filetto Di Pesce All’arancio (RM34.80), pan-seared fish fillet in enticingly light orange sauce with rosemary potatoes and buttered vegetables. 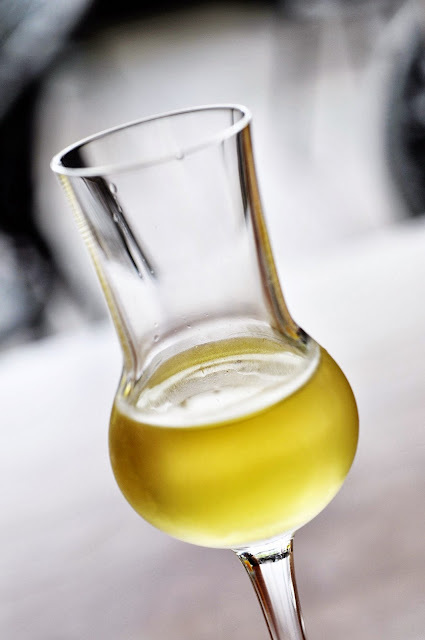 Tender, sweet yet ethereally light on the palate, we nearly licked the plate clean for this. Whether you're a black sheep or a docile member of the flock, the indulgently rich Stinco Di Agnello Brasato (RM68.80) will be an irresistible heavyweight contender in your books. 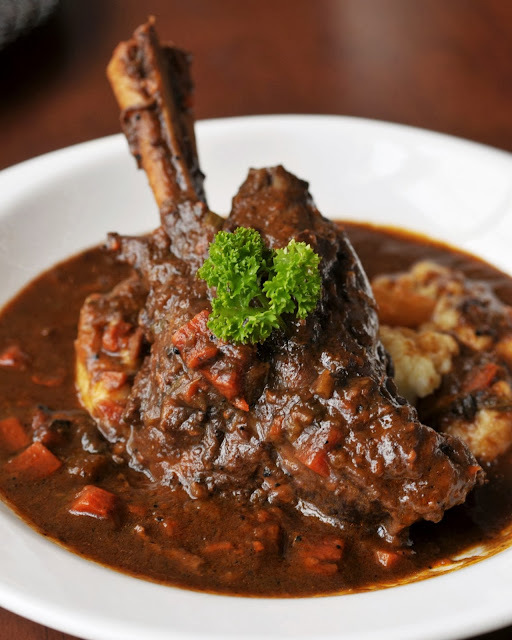 Slow-cooked to fork-tender perfection, the lamb shank on truffle mash potato will bring out the carnivore in you. pancake smothered in creamy nutty chocolate and topped with banana and cream, and Crostata Al Limone (RM16.80), a tantalising, citrusy lemon tart served with fior di latte gelato. 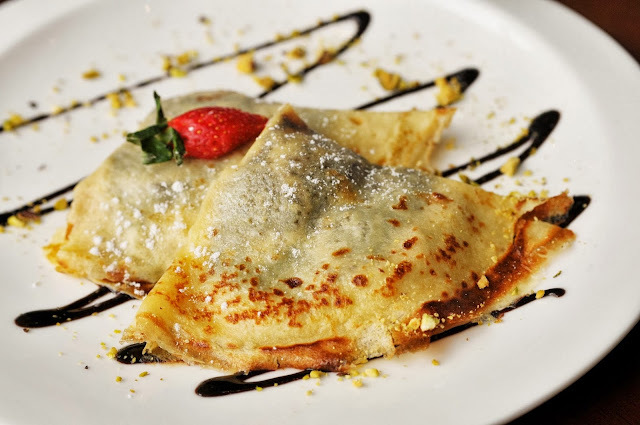 In Italian, fior di latte means "flower of milk"; the creme de la creme of milk if you will - a distinct fresh, milky flavor that lets you discern if the gelato is up to mark or not.